Summer is peak season for visiting America’s theme and water parks, and riding the roller coasters and whooshing down the water slides can build up a serious hunger. When it’s time for guests to take a break from the thrills, these venues offer eats a notch or two above the usual hot dogs, turkey legs and ice cream cones. Some of the menu items are new, while others have become park signatures. But as summer morphs into fall, a more traditional operation might think about adapting one or more of these foods to satisfy customers’ cravings in the off-season. Dining at Coney Island in Brooklyn, N.Y., has long been associated with Nathan’s annual hot dog eating contest. But this May, Kitchen 21 opened on the boardwalk, housed in a landmark building that dates to 1923. Five eateries share the space, including the Test Kitchen, a space dedicated to experimenting with new dishes and inviting Brooklyn chefs to create pop-ups. 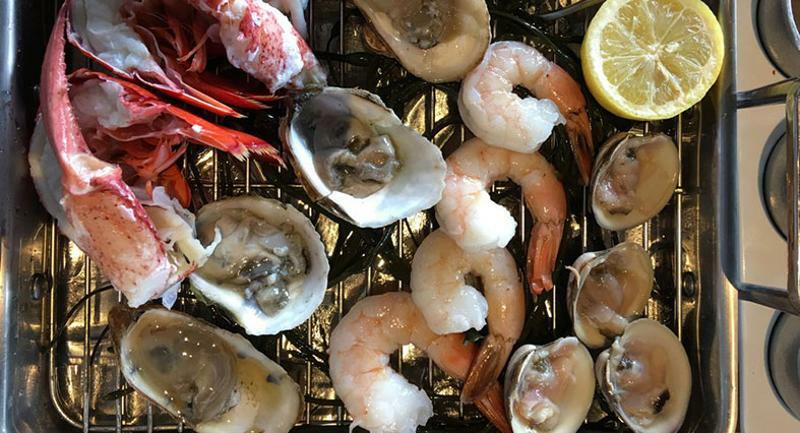 Specialties include clam pizza and a raw-bar-in-a-box at the Community Clam Bar; a menu of 32 craft beers at Parachute Bar; and crispy duck wings at the wine-focused rooftop lounge, Boardwalk & Vine. Legends Hospitality runs all five venues. 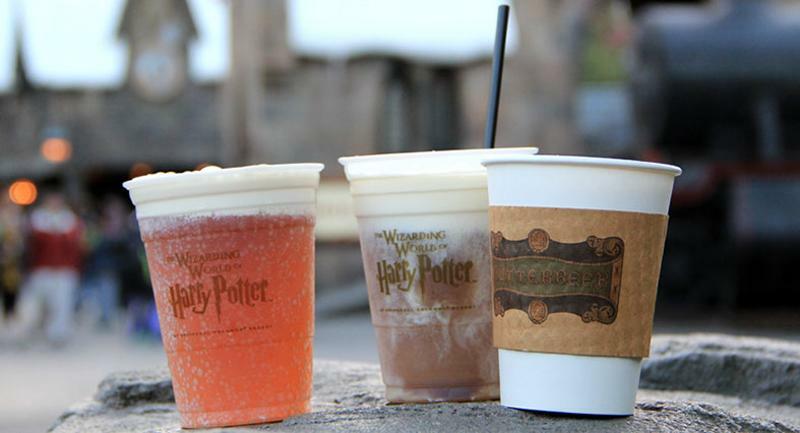 At the Wizarding World of Harry Potter at Universal Orlando Resort in Florida, butterbeer is the must-have beverage. The creamy, frothy butterscotch-flavored drink is nonalcoholic, making it appropriate for Potter fans of all ages. Butterbeer is served frozen, iced and hot at the Leaky Cauldron restaurant, styled after a British pub and incorporating design elements from the "Harry Potter" books. 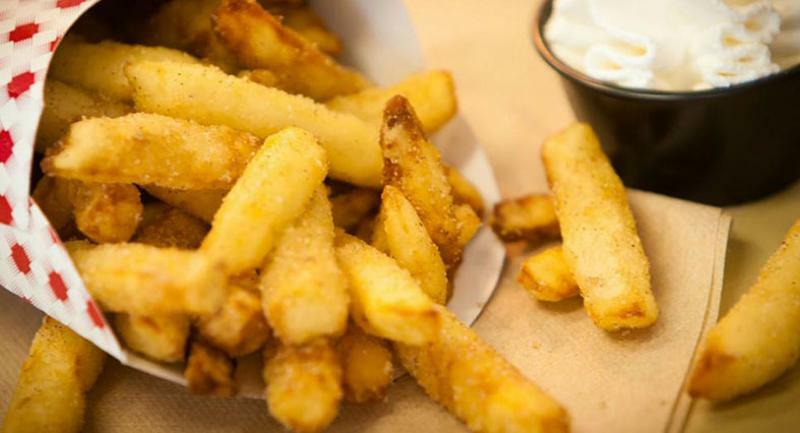 French fries are standard fare at amusement parks, but at Cedar Point in Sandusky, Ohio, visitors have their choice of variations on the all-American favorite. 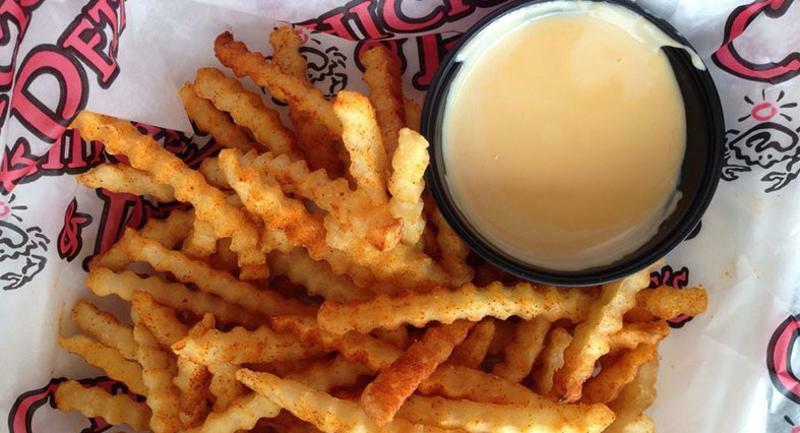 Crabfries are the newest on the scene, offered up at Chickie’s and Pete’s, a Philadelphia-based eatery that opened in the park two years ago. What sets these fries apart? They’re seasoned with paprika, cayenne and other spices that typically coat steamed crabs, and are served with a creamy cheese sauce. 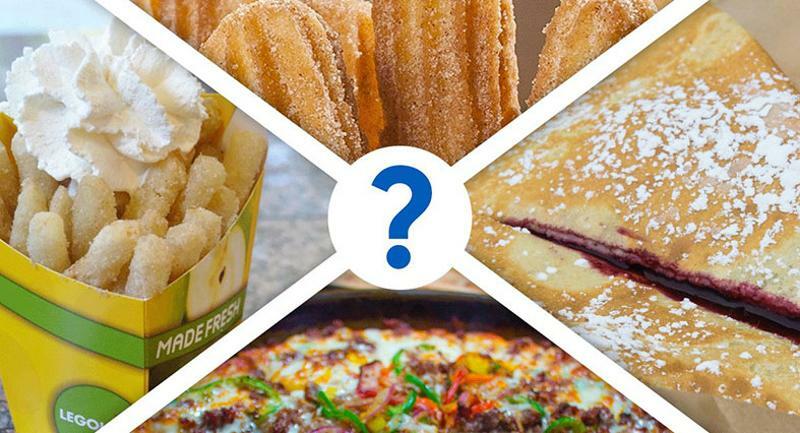 But potatoes aren’t the only food that’s fried at Cedar Point. Another signature is Cheese on a Stick—a portable fried treat that looks like a corn dog and features a streak of gooey melted mozzarella in the middle. For a sweet alternative to french fries, customers at Legoland in Carlsbad, Calif., can dig into Granny Smith Apple Fries. While apples may have a health halo, these fries are an indulgent treat better suited for dessert. They’re dusted with cinnamon-sugar and served with a whipped cream dip. Like the general population, many theme park visitors have dietary restrictions. To cater to their needs, Hersheypark in Hershey, Pa., opened The Outpost two years ago. The allergy-friendly food stand features an entirely gluten-and nut-free menu, along with several dairy-free and vegetarian options. Highlights include a Buffalo chicken flatbread made with gluten-free crust (prepared with rice flour, potato starch and tapioca starch), and a black bean burger on a gluten-free bun. In keeping with its country image, Silver Dollar City in Branson, Mo., serves up hearty, down-home meals. 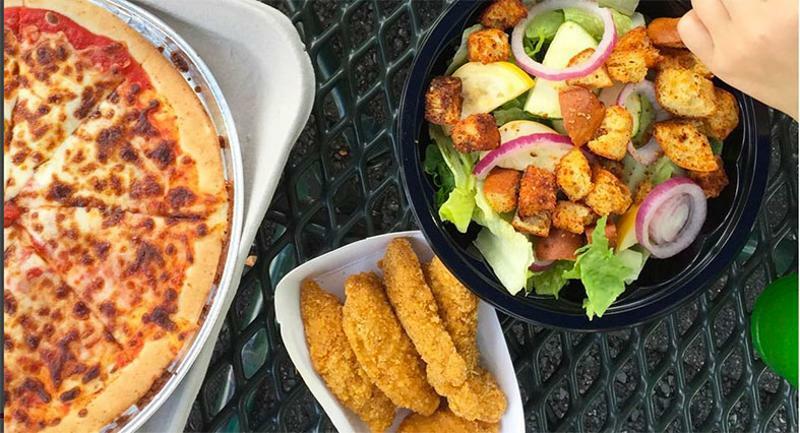 A guest favorite, according to the park’s website, are the skillet meals at Buckshot Annie’s. 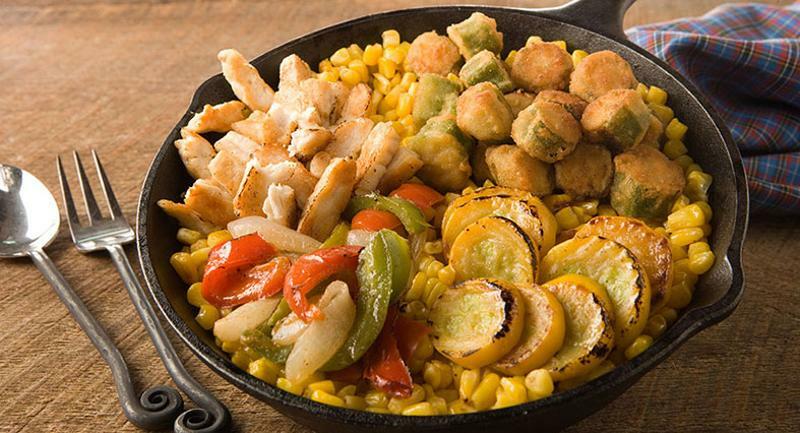 The one-pan suppers are cooked in full view of diners in a giant iron skillet and include ingredients such as chicken, corn, yellow squash, okra, peppers and onions (Family Feud Succotash) and string beans, carrots, roasted potatoes and ham (Harvest Skillet). Trapper's Smokehouse at Busch Gardens in Williamsburg, Va., does authentic Southern barbecue, smoking meats over hickory and oak for 10 hours. 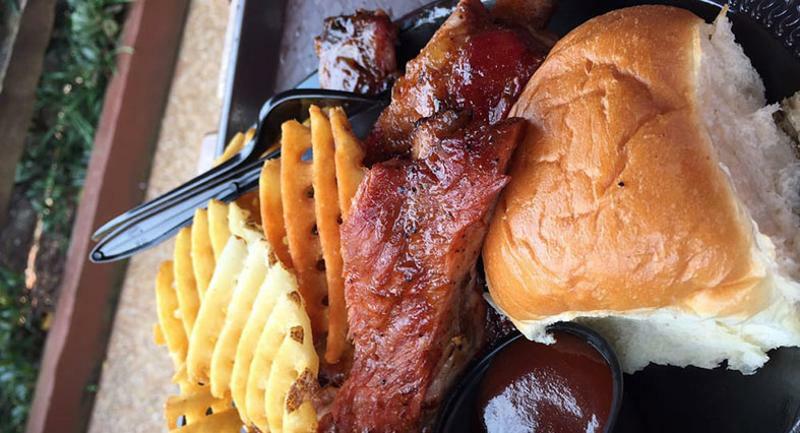 The menu spans several barbecue styles, including slow-smoked spare ribs, baby back ribs, chicken and beef brisket, along with all the fixings.